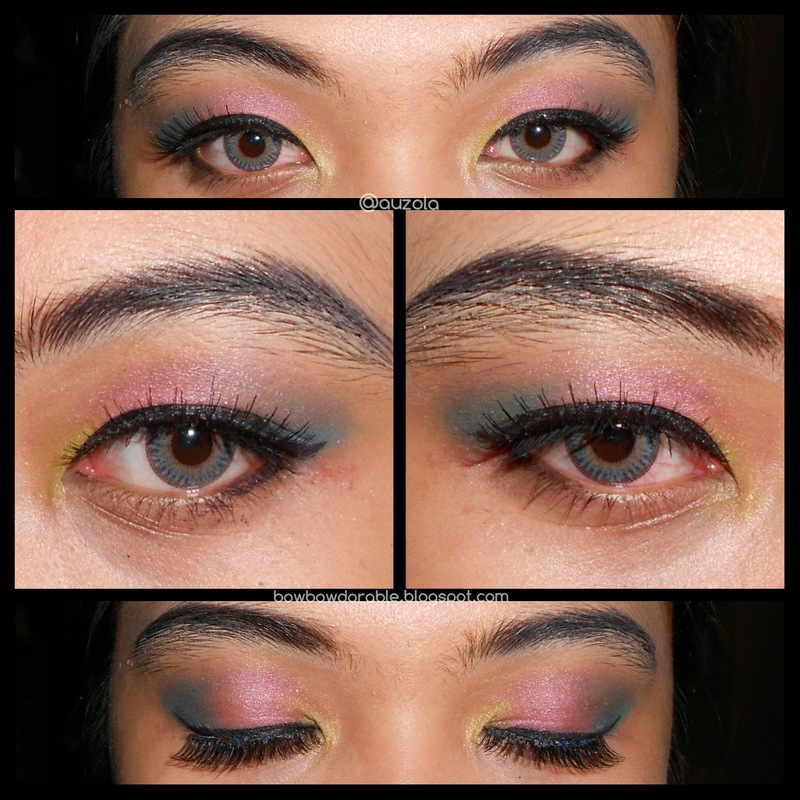 Im back with EOTD! Well this one is pretty special, because i only use eyeshadow from Sariayu Borneo B-02 for this simple yet pretty eye makeup! So weeks ago i bought this pretty brand new little eyeshadow from Sariayu. And the colors are pretty! Well it's also super pigmented like other Sariayu's eyeshadow, which made me in love! Actually i already made this EOTD few weeks ago, but i havent post it, because i have so many things to do and when i have a bit time i got lazy, so yeah, i just post it now! Hahaha, and it's actually a really fast and simple eye makeup, so nothing special about it, but i hope you like it! So here goes the tutorial! 1. Prime your eyelid and apply 'Pink' all over your eyelid. 2. 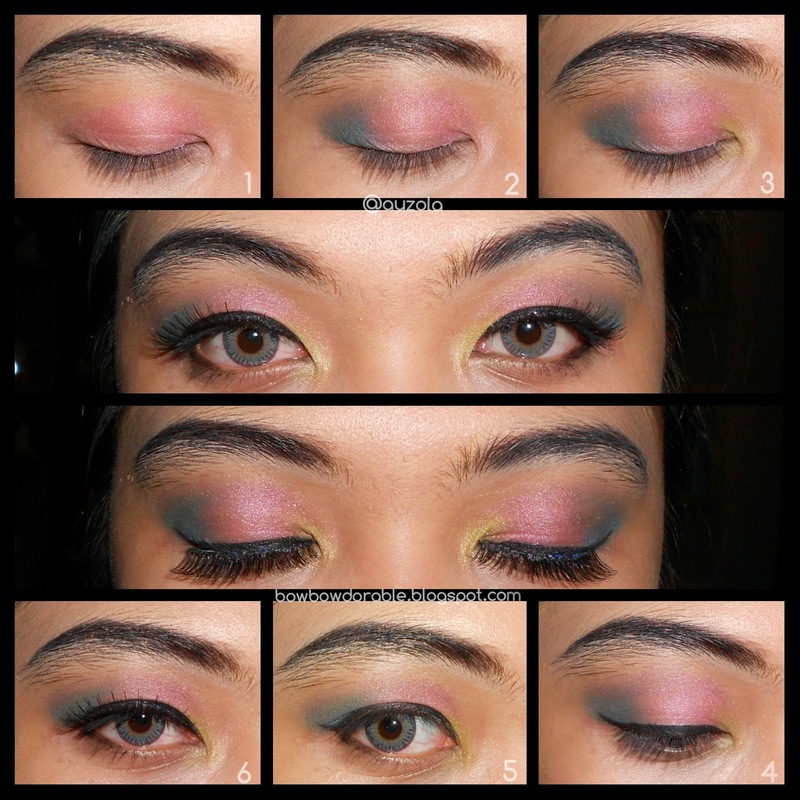 Add 'Blue' to the outer corner v of your eyes and a bit on the crease, then blend it well with the pink color. 3. Add 'Yellow' in the inner corner of your eyes. 4. Apply black liner into a cat eye shape. 5. Also apply black liner in your lower lash and waterline about half of the eye. 6. Put on your mascara and add your natural false lashes. hah... sukaa warnanya! cakep juga eotd nya Ola! Simple tapi kalo nggak tau stepnya keliatan complicated. Get Gwen Stacy's Look (Revlon MUC) with tutorial!